Real stone tiles account for one in seven tiles sold in the overall flooring industry, according to a recently published survey of flooring retailers. The landmark study was conducted by BNP Market Research among the readership of industry publications like Floor Trends, Stone World, Contemporary Stone & Tile Design, Floor Covering Installer and Tile Magazine. It collected all of their views about the current market size and prospects for the future, publishing them together as the 2016 Floor Trends Flooring Industry Study. Across the board, 69% of retailers are looking forward to increased sales next year, and roughly 75% saw sales growth this year so far. Tile competes with carpet for the largest share of the market, with both accounting for 29% of sales each in 2015; tile gets 22% of showroom space to carpet's 37%, although it is easier to show a selection of different tiles in a smaller space, as you can see in the room layouts and sample walls of our Cheshire showroom. Interestingly, real stone tiles hold a substantial market share, accounting for about one seventh of all tiles sold, with ceramic tiles adding 23% to the market and the largest share, 61% of sales, consisting of porcelain tiles. Tiles in general rate highly as a floor covering, with 90% of those surveyed praising the durability of tile flooring, 72% highlighting the stylish nature of the product and 68% saying tile flooring is popular among customers. 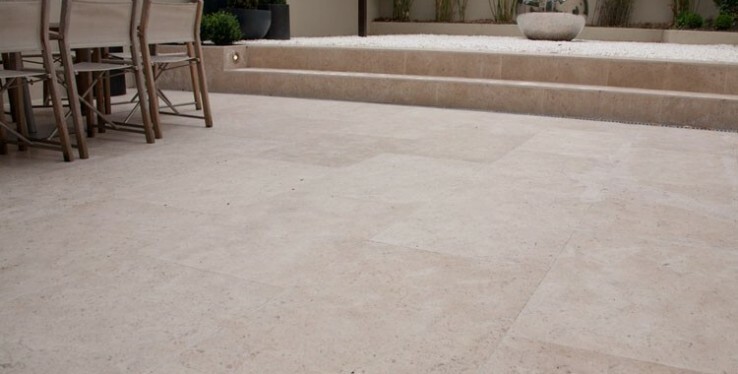 Stone tiles in particular offer a luxury tile flooring finish thanks to their natural appearance, with the highly durable performance of natural materials too. From smaller mosaic tiles to the largest of large-format tiles, stone is a versatile material that lends itself to a wide range of different styles and visual effects - and as the survey shows, it's a real crowd-pleaser among people shopping for new designer flooring in 2016.